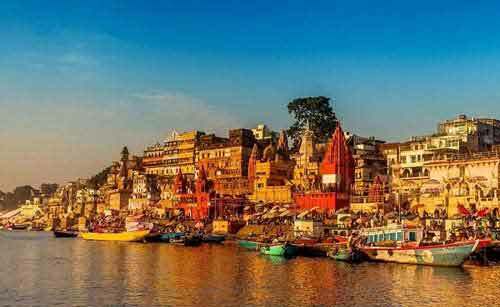 Kashi, also known as Benares or Varanasi, is the city where people attain moksha. There is immense spiritual and religious importance of dying in Kashi. Many Hindus wish to die in Benares. The main belief is that Kashi is the city of Shiva and he will not allow any devotee to suffer after death. Therefore, whoever dies in Benares escapes from the cycle of birth and death. Shiva is the ruler of Kashi and Yamraj or other gods do not have any power here. Shiva chants the name ‘Ram’ in the ear of the dead. With the blessing of Shiva and Ram mantra, all living beings that die in Kashi attain moksha and they do not have another birth. They merge in the Supreme Truth – permanent escape from the cycle of birth and death. There is a strong belief that when a person is about die in Kashi, Shiva chants the name ‘Ram’ in his ears. And it is due to the chanting of the mantra that the person attains moksha. It is said that there are more than 70 million mantras. But they are all ineffective when Shiva chants the name of Bhagvan Ram. Ram is the Param Mantra – the important mantra. The powers of all the mantras are contained in ‘Ram’ (राम) . The popular belief is that when a person dies in Kashi, his right ear extends upwards. It is because Shiva is chanting the name ‘Ram’ (राम) in the person’s right ear. When the journey of the dead begins to the next world, Shiva chants the mantra and Yamraj, the Hindu God of Death, does not punish the person. He has no power in Kashi where the Lord is Shiva. Only Shiva can decide as to what will happen in Kashi. 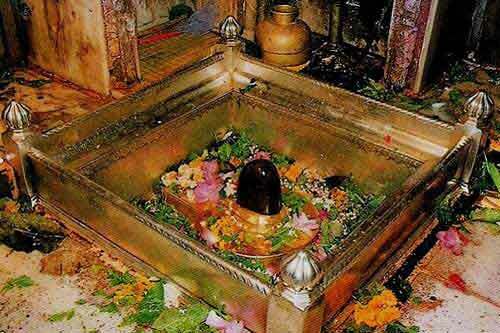 The fate of all living beings in Kashi is decided by Shiva. Shiva is Bholenath and Vishwanath, he is the ruler of the world, but at the same time, he is an ocean of compassion. Thus, when a person dies in Kashi, Shiva grants the person moksha. The person is not troubled by Yamraj and there are no more births for the person. He attains moksha and escapes from the cycle of birth and death.